Sebring.com - Market27 - We Are Sebring FL, Podcasts, Classifieds, Events. Breakfast, Lunch, or Dinner; choose from a menu that includes Market-fresh and pressed sandwiches, salads, pizza, fried chicken and wings. Enjoy the coldest beer in town - from an impressively large selection - at the bar, with your meal, or available in six packs to take home. Don’t forget to finish everything off with an ice cream or a milkshake before heading home. A hidden gem of Highlands County, and a true one-stop-shop! 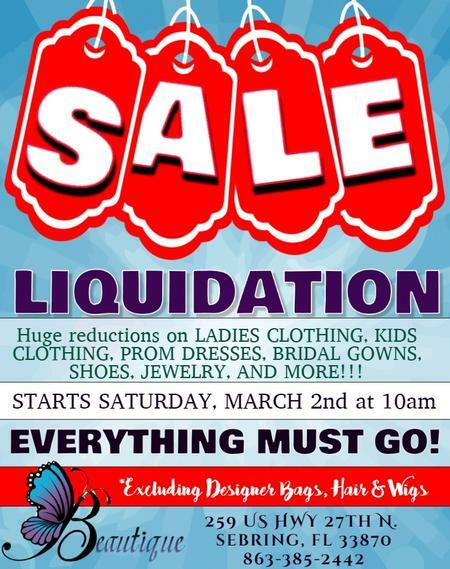 Shirts, Skirts, Pants, Shorts, Dress, Bridal Gown, Purses, Shoes and more.